In case you spent the night drinking instead of studying, here are the cliff notes on Election 2014. In the event that you got hung up watching Modern Family reruns on Hulu, here are the cliff notes on the 2014 midterm elections as #ErieVotes. There are rotating Tom's in Harrisburg. Corbett is out; Wolf is in. For progressives, advocates for public education, and other human-types, this is a hopeful scenario. But Wolf does have a difficult task before him. The Pa. General Assembly remains Republican (as of 1230 a.m. on election night) and Wolf will need the legislature's approval to undo what it enacted at the behest of Gov. Corbett. The Wolf plan will have many cheerleaders in the Capitol. Ryan Bizzarro easily defeated Luke Lofgren to retain his 3rd legislative district seat. 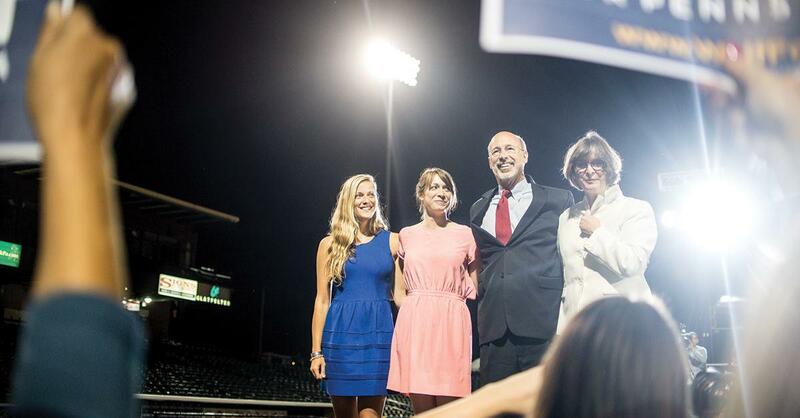 Bizzarro's reelection won't please everyone, but he returns to Harrisburg with a mandate, of sorts, after receiving nearly 65 percent of the vote in a district that's less than 40 percent Democratic. Those numbers are a testament to the pragmatic legislative style of the 28-year old, soon to be second term, representative from Millcreek. The "Republicans for Bizzarro" voting bloc that formed around his inaugural campaign in 2012 was the first time Erie politics had seen such exuberant crossing of party lines since the "Democrats for Ridge" disbanded after the 2000 gubernatorial campaign. It was no surprise to see local Republican rabble rouser Donna Reese -- among others -- at the congratulatory ready inside #BizzCamp on election night. The only candidate younger than Bizzarro in Pa.'s 2014 midterm elections was Democratic congressional candidate Dan LaVallee. At age 26, LaVallee would have been the youngest person in Congress. But he's not. LaVallee had a hopeful start -- at one point garnering enough votes in early reporting to turn the third congressional district "blue" on the NY Times interactive election map -- but those early gains were quickly reversed by the 66-year-old incumbent, Mike Kelly. LaVallee lost to Kelly by 21 points district wide. In Erie County, however, LaVallee collected nearly 60 percent of the county vote. When those votes from the northern tier are coupled with the fact that a young man with no name recognition raised more than $500,000, one must ask if this part of the district really liked Dan LaVallee or if it has a growing disdain for Mike Kelly? Regardless, the run up to 2016 should make for interesting political theater. Even if LaVallee had won, his victory would have been largely symbolic since both the House of Representatives and the U.S. Senate are Republican controlled after this election. Democrats without intricate knowledge of congressional rules are in for quite a show. For the young and the restless, the 114th Congress will be more Hogan's Heros than Saved by the Bell. 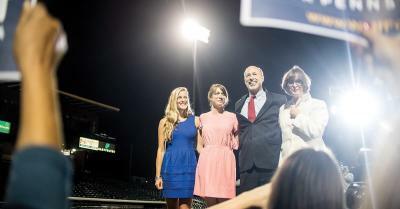 Rep. Glenn Thompson (R-PA5) also easily secured re-election against political newcomer Kerith Strano Taylor. It seems that the post-2010 gerrymander of Pennsylvania has worked. All but one congressional district in western Pennsylvania are Republican controlled. Republicans Curt Sonney and Brad Roae both retained their seats in the state legislature with nearly 2 to 1 victories in each race. Democrats Pat Harkins and Flo Fabrizio ran uncontested races for reelection. Of all the great election day performances, the award for best comedy might have to go to the 346 people who wrote themselves in against Fabrizio, the 2nd district state rep. I'll admit, standing at the voting booth staring at a three race ballot with no voter-led initiatives to distract me, the thought of writing myself in was strong. I happened to resist the urge, but at the end of the night, I'm glad others retained a sense of humor and sent me home with a smile. Jim Wertz will start planning for the next election cycle on Friday. If you want to join him, drop him an email at jWertz@ErieReader.com or follow him on twitter @jim_wertz.